We’ve just had a great day at PULSE. 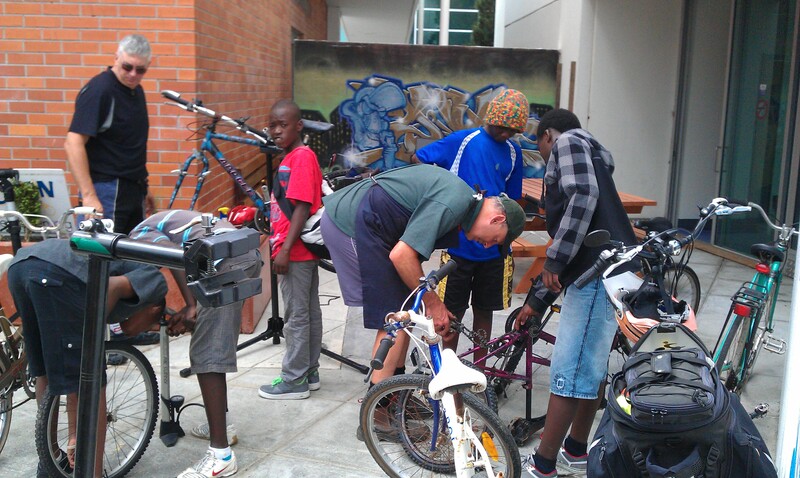 Lance, Steve & Mark and a bunch of keen bike riders had a great afternnon of bike fixing. 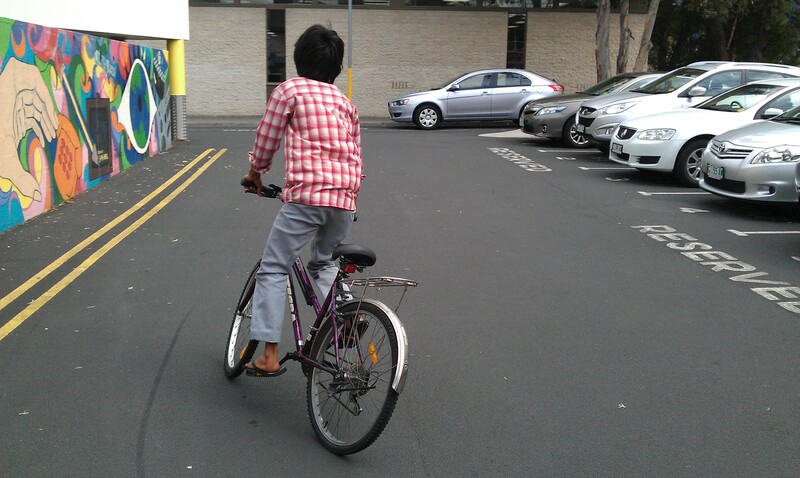 I think we surpassed ourselves and by the end of the afternoon a dozen bikes were ridden away. That would be the most bikes that we’ve got through in one day. So thanks to everyone who took part, and to all those who have donated to us and made this possible. We’d like to also thank PULSE for making us welcome and getting everyone along. There is a repeat session next Friday so if you’re looking for a bike get in touch with PULSE or MRC so that we can plan ahead for next week. Here are some photos from a terrific afternoon. 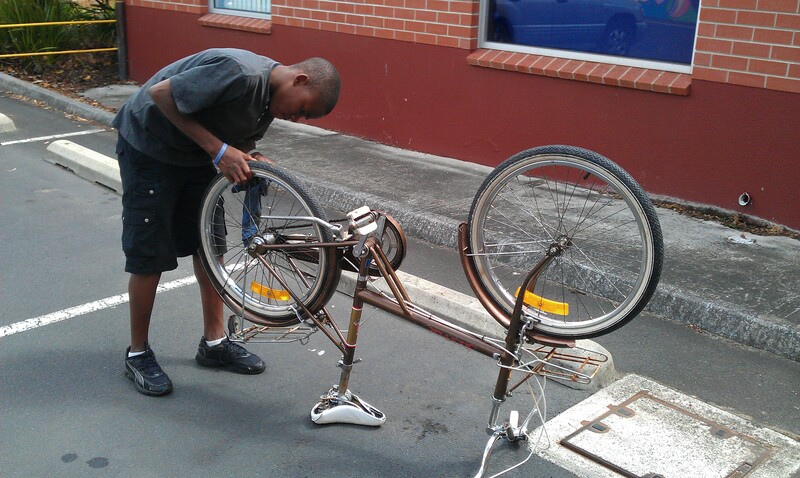 Thanks so much to HBK – Steve, Lance and Mark for a fantastic bike-fixing-frenzy! I didn’t realise it was 12 bikes- that’s amazing. It was a very positive afternoon, see you next week. 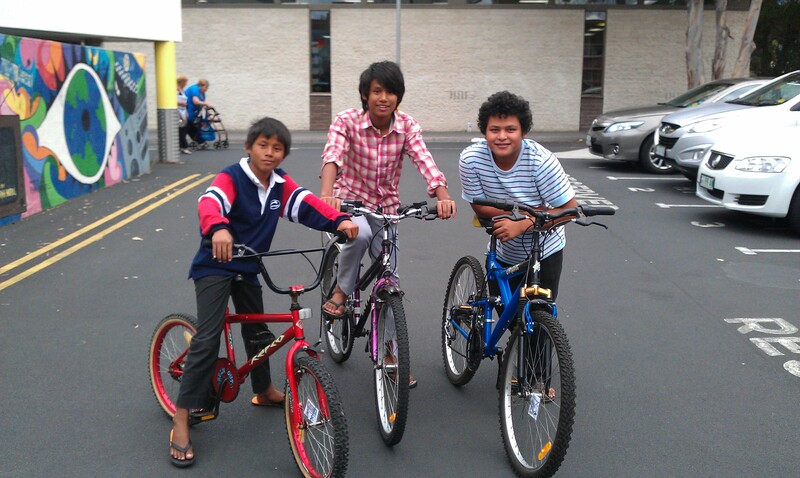 Well done guys, it’s great to see proud kids with their new wheels! 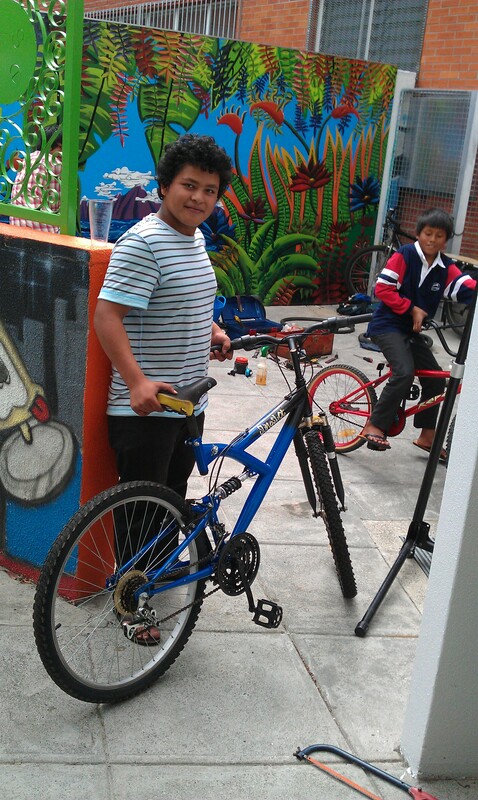 It is great to see that young kids are learning how to fix their own bikes and also having fun as they do it. Keep up the Good job HBK and also try to invite more people in future sessions. Previous Previous post: Convert your bike to an e-bike!